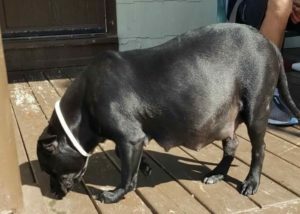 Back in August, Rescue Pit was contacted by our friends at Pitty Love Rescue to see if we had space for a pregnant pit bull they were contacted about. We looked at our current foster situation, our current dogs moving to adoption, and our finances; and made the sound decision that we could commit to Pepper and her future babies. We worked with Pepper’s owners and set up a plan: we would take Pepper into Rescue Pit, care for her as she cared for the babies, vet her, have her spayed, and then return her back to her family. The family clearly loved Pepper and had no intentions of her getting pregnant. They were very thankful for our support, and the proposed solution. In the days leading up to the birth, Pepper was shy, slow moving, and lethargic. 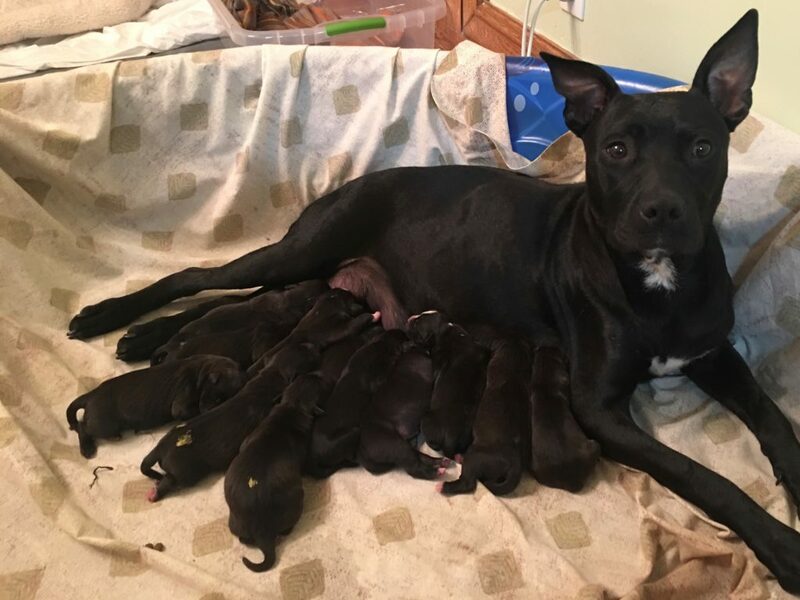 On August 10th, Pepper gave birth to 12 puppies, 6 boys, and 6 girls. She started at 5:45 AM, and continued till 11:30 AM. Her instincts took over, and she quickly took care of her puppies. Over the next several days, we saw a different Pepper, a more guarded Pepper. She trusted those of us who had been there since she came into Rescue Pit, but was timid around new folks. Knowing that this can be common after giving birth, we limited exposure and made every experience a great one. As the weeks went on, and the Peppercorns grew, Pepper started to show her true character. She is a young, energetic, and loving dog. She started to welcome new people in, even looking forward to it (puppies which are being held can’t bother their mom). We began to introduce her to other dogs, and she loved them. As the puppies began to approach 8 weeks, we began thinking about next steps for Pepper. We set up the timeline for her spay, and contacted the family again. Unfortunately, the situation had changed for them. Their landlord said the dog couldn’t come back. We worked with the family on this all too common situation, but they didn’t want to risk Pepper being bounced around again. They asked us to find her a forever home. And this brings us to today. Pepper is officially an adoptable Rescue Pit dog. She will be spayed in several weeks, and then looking for her forever home. With her babies in foster homes, we have begun to see the real Pepper come out. 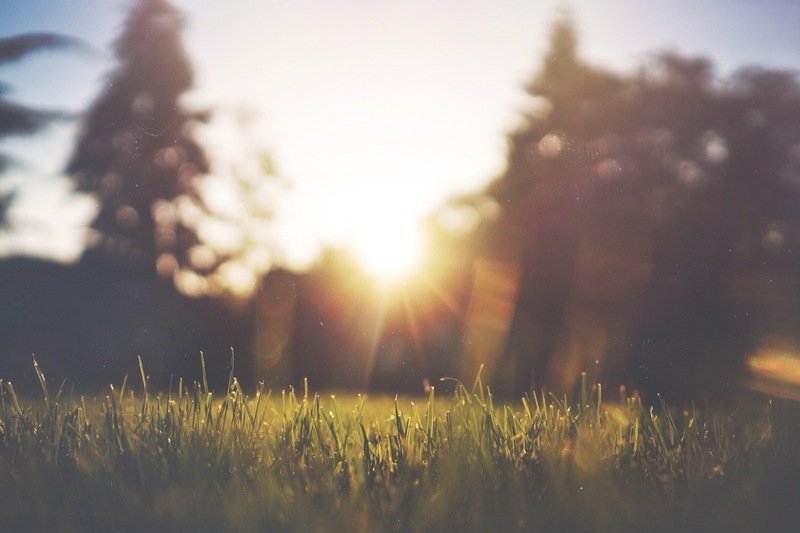 She has begun to welcome every person into her life, without hesitation. She also loves meeting new dogs, and enjoys her time on leash. The Pepper and the Peppercorns’ journey is still underway. Working with the community in this fashion is what Rescue Pit wants to do. Our goal was to re-unite Pepper with her family, but other circumstances prevented this. Now, we will look to find homes for Pepper and her 12 babies. Pepper is truly a special dog, who deserves a special family. If you are this family, or are interested in learning more about the Peppercorns, please visit us at rescuepit.org/adopt.